Do you have any suggestion for the site? Do we miss a Kpop profile that you’d like to see on KProfiles? Also, do you have any idea how we could make the site better? Any ideas of what new sections we should add? Feel free to comment below and let us now. What sections you'd like us to focus on? I voted for Other. I think some kpop Quizes would be nice! Could you make a profile for hotshot? Quizzes, Polls and OTPs. Please!!! Kpop profiles since here I find the most complete profiles!!! 1000 x thanks! I want quizzes, otp, pools and who wore it better! Could you please make a profile of KNK? pentagon, sf9, cross gene, boys republic, oh my girl, dalshabet, gugudan and stellar profiles would be great! Could you add solo artists dean,crush,jay park aswell:)? Could you do a boyfriend quiz for Monsta x or Topp Dogg? Could you add Uniq and Laboum profiles please? I like more about Who wore it better polls. And could some of your viewer make a contribution for this part too? Also it’s just a suggestion but it would be nice that you probably could add ‘Where to find’ segment where the viewer can ask about where to find clothing or accessories that idol usually wear on their daily base picture or MV. I second request for History member as well, please? Thank you for your suggestions! We are always open to our viewers opinions/ contributions, so we’d be glad to receive suggestions for “Who wore it better” polls as well. Well, it doesn’t have to be answer quickly. Since maybe one of the reader know where to find the item that other is asking for. Because sometimes all we (reader) need is a place to do the interaction with. We’ll think about a way on how to organize that section and to make it more interactive. Maybe a plugin would be good. Could you do a profile of soon to debut 5 member boygroup 에이스(A.C.E)? 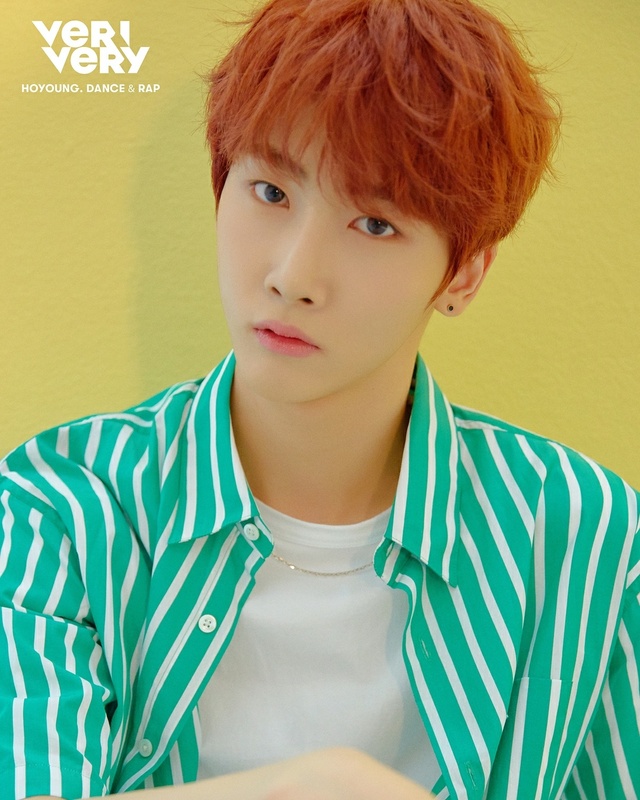 Could you also please make a Profile for SNUPER? It’s a boygroup which debuted in 2015. Could You Do A Profile On JJCC? They are a group that is under Jackie Chan. Done 🙂 Thanks for your suggestion! could you add profiles for the rookies victon and dreamcatcher? and for the actor song joong ki? Could you add profiles for 100% and SECHKIES and actor nam joohyuk please? could you add clc please? could you add hellovenus, berry good and dalshabet profiles? thank you :)! Could you please do more fun facts about the block b members and a smrookies profile? Thanks for the profiles and things you do! I appreciate it a lot and I believe everyone else here is greatful as well. Could you do a profile on A.Cian? love the format y’all use for stuff and the bias poll @ the end helps me for getting into newer groups and such!! Hey, this is just an idea, but it would be pretty cool if you also post the singers vocal range. There is another site called kpopvocalanalysis. net and they analyse K-pop singers vocals (obviously) and if you added that to the facts table in the profiles it would be quite valuable, although they haven’t done all idols. Profile for masc please? And more fun facts on the nct boys please:)? So sorry for asking this, but what happen with your jimin-jungkook ship page? I can’t seem to find it. Oh, I’m sorry for not checking my mail this past few days. And thanks for ur explain. I wish for this site to be more improve in the future coz I like it here so much. It’s done! 🙂 When there is more info available, we’ll complete the profile with more info. Profile for INX when you have the time because you probably have a lot of requests please take your time! The INX profile is done. 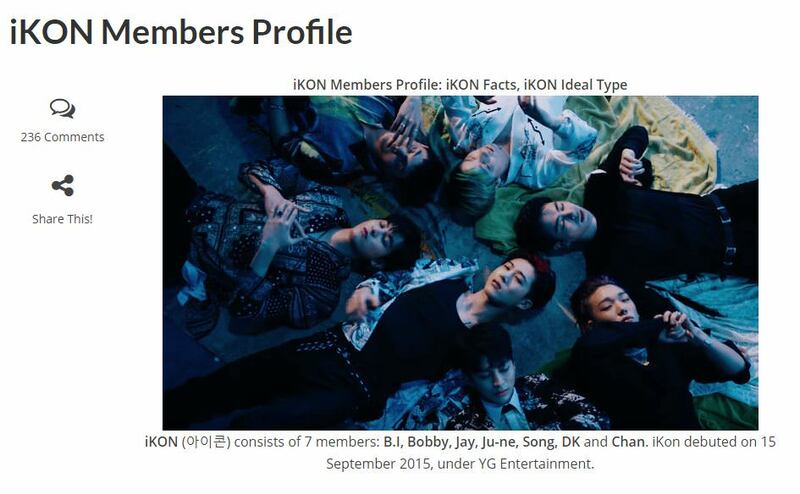 We’ll add more facts about the members once more info it’s available. Can you please make the profile for Rania and DGNA? Your polls arent working :/ whenever i try to vote or i click View Results the poll disappears and it says “Failed To Verify Referrer”. This happens on both my phone and computer. It works fine on our end. Please try to clear your browser cache. its still not working. i even tried it on my friends computer. 1.Can you make a ranking of entertainment? Can you make “Ladies Code” profile please? We are really sorry to hear that. 🙁 We are investigating, but unfortunately, we can’t reproduce the error. When we tested it, all seemed fine. What error do you get? The results are not being displayed? Or the new votes aren’t counted? And can you make a 9muses profile? can you please make a brave girls profile? Can you make an UNIQ profile? 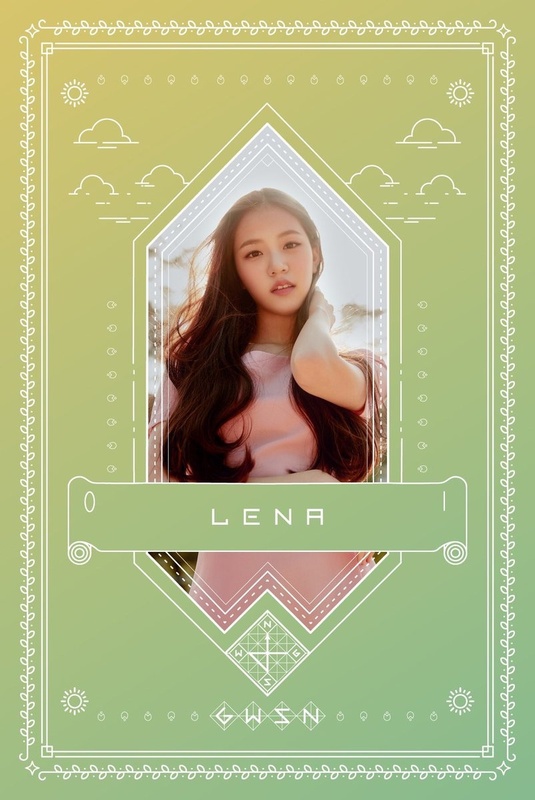 can you please make a loona profile? can you add Hello Venus? Can you do a Hello Venus Profile? Can you make a MBLAQ profile please? I would love if you added Triple H profile! Even if I know that HyunA already have a profile, but it would be fun anyways! It’s done. New info will be added to the profile as soon as new members will be added. Sorry for the late reply. Due to some technical problems that we faced, most of the scheduled work has been postponed. Can you do Juniel’s profile too? ^_^ Thank you! Done, sorry for the late reply, we encountered some technical issues, so the last period was kind of chaotic. Make an API for the site so we could easily code it into out things! don’t worry about it! thank you for making it! We’ll do, thanks for the suggestion. I suggest for you to make a GIRLSGIRLS profile and a 14U profile? We added a script so visitors can add profiles, ships, who wore it better, etc. We recently implemented a Write your own post scrip, so that users can add profiles, polls, ships, etc. but unfortunately after testing it for 3 days we noticed that it often brings the server down so we had to give up on it. We are still searching for more ways to make the site more interactive. for me it works good so far. Can you add Kriesha Chu’s profile? Hello! I’ve been trying to send you a letter using ‘Contact Us’ form but I’m getting an error. Is there any other way I can send you a message? Maybe via email, facebook or other social platform? Can you make a Triple T Profile? Could you maybe make a MAP6 Profile, please? really??? i can’t seem to find it though. Why is there no MAP6 profile??? Can you add it? “queue”. they mean that its been added to the list of things to do. hello. can you make a “how well do you know TWICE?” quiz? Could you maybe do a profile for mas 0094? For 14U profile we have to thank our new author, Sam (thughaotrash). The profile is done, sorry for taking so long. Can you please make a profile for Lee Hi? can you please add profiles for berry good, boys republic and jessica? thank you! could you do lee hi?? Can you make aoa individual profile? Can you make april profile?? Could you do a profile for mvp please?they are a recently debuted boygroup! Can you do a profile for Boys24 subgroup, Unit Black? Or just Boys24 on a whole? 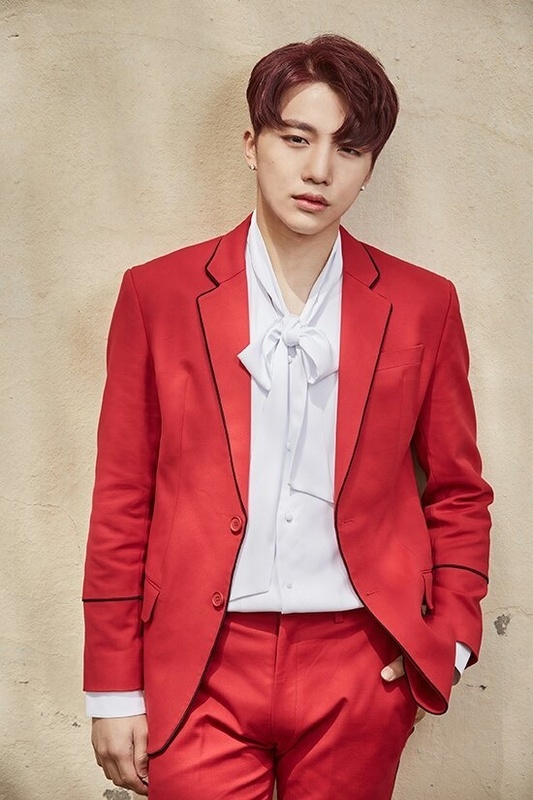 On your pentagon members profile, a missing fact for Jinho is that is is really good at high notes, Wooseok can sing the soprano part from an opera, Yanan can speak Chinese and Korean, Yeo One is a good swimmer, Shinwon’s favorite attribute about himself is his honesty and one of his hobbies is lying down, E’ Dawn is a great popping dancer and he can dance as his head and body are seperated, Hongseok thinks his best attribute is his abs and he can do a hand stand from a seated position, Kino is good at imitating dance moves. Sorry for all the requests. Can you do a profile for Ulzzangs? like lee geum hee, park hye min, song ah ri, etc. KAMSA!! Could you maybe do a profile on boys24 and the units? Please? please do a profile on bolbbalgan4!! can you please add the actor kim min-jae? can you make profile for favorite group! they debut under astory entertainment! For ‘favorite’? Is that their band name? ah i meant lee joon gi* thanks so much! yes, can you make also profile for new girl group WEKI MEKI under FANTAGIO including doyeon, yoojung sooyeon. Can you make a profile for Davichi in the duets section? 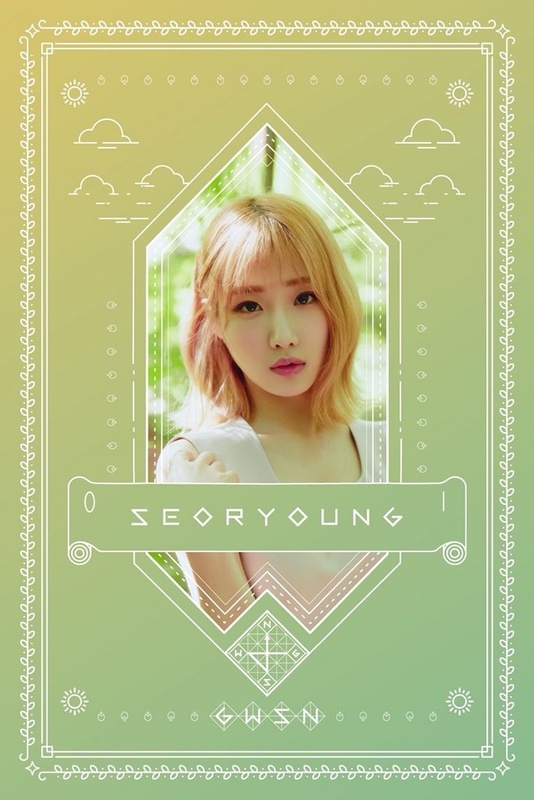 The Davichi profiles is done, thanks to our new author, sowonella. many new rookie groups have just debuted and there are other groups too that debuted some time ago that don’t a profile yet like TheEastLight, could you please make a profile for them? also the girl group P.O.P just debuted if they could get a profile too please. Can you make golden child profile? Please do a profile on 4TEN. Could you make a profile for Ruhr boy group ONF they debuted on August 1st/(2nd in Korea) ?? Would you like to make Samuel’s profile please? Would it be okay if you add what there lightsticks look like in the profiles? For ships part it’s a bit more difficult since we think only a real fan of the ship could do a really good ship post. Maybe someone will volunteer for a Namjin ship post? can you make a profile for the rose? May you please make a profile for Black6ix? I really like them! can you make TWICE QUIZ PLEASE! please make a profile for CRUSH, Gong Yoo, Zo Insung and Yoo In Na 🙂 I like them!! Now that JJ Project has made a comeback should their profile be in your Duets section too? Thanks!! Could you make a profile for Re:born? Could you make a profile for Unit Black? Could you Put Fly To Sky Profile? could you do sunmi (lee sun-mi) profile please? Can you make a profile for Playback? I was wondering if you could make a profile for Crush?? Thanks in advance! 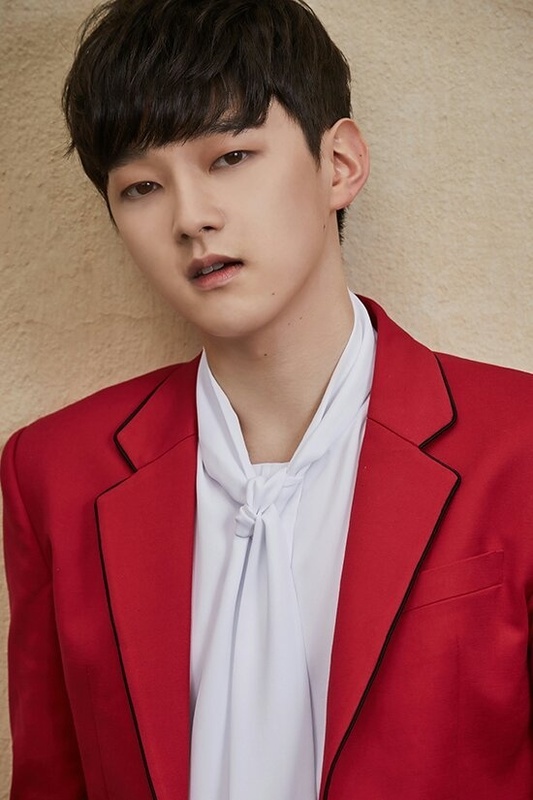 Could you make a profile for The Rose and Boys24, please? Also can you make a profile for Rain(Jung Ji Hoon) and Nam Joo Hyuk?? could you do all of Boys24 though? Hi! Can you make a profile for SPICA and Kriesha Chu? Also, I’m so glad you now have a profile for Berry Good. I love reading the profiles here. Keep it up! Can you make a profile for Jeong Sewoon? Can you please do a predebut/upcoming group section? For example groups like 8X8X8. So, we are still accepting upcoming groups requests but we have to allocate them to the current sections: girl groups, boy groups, co-ed groups, duets, etc. Thank you very much! You’re really working hard in keeping us posted! Could you please do a profile for Black6ix? Can you make a profile for Sik-k??? Please include Park Seo Joon on Actor’s Profile. Thanks! Been reading the profiles and I am so amazed. Feels like I know them better. God bless! Could you make a profile for BLACK6IX? That is an error that keeps giving us headaches. We talked several times with the developer, but still didn’t get to a permanent solution. What is even weirder is that it appears randomly for some visitors, while others have no problem with the polls. I know it’s annoying. We are trying our best to fix this issue. could you make a profile for Running Man & Turbo ? please!!!!! Can you make a profile for TheEastLight? can you make a profile for DPR Live (soloist) ? Can you make a profile for the Band Drug Restaurant please? Good Day profile is done. More info will be added, once it’s available. 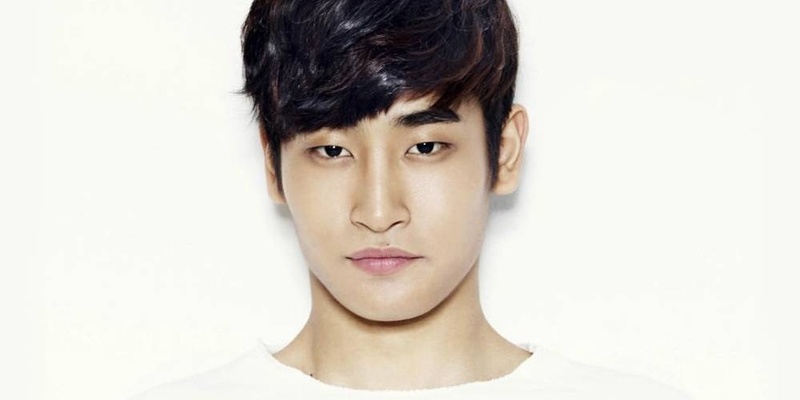 I was wondering if you could make a profile for Kim Soo-Hyun(Actor)? Please!!! more of a error but the link to Juniel’s profile currently takes you to Jay Parks from http://kprofiles.com/kpop-solo-singers/ its fine from the menu. You guys are best in making profiles. I love you guys all!!! Thanks for working hard day and night to give us such beautiful profiles of our admiring idols. I would love it if you guys please make a profile of Jung Il Woo (Actor) and a ship/OTP of YunHo and JaeJoong (YunJae). It’s a pretty please. I’m a great fan of them. I love y’all. Stay healthy and happy. Take care, bye! Can you make a profile for Stray Kids?! They are apart of the new jyp survival show and will be competing to debut. Wahh. Kprofiles, Please make a Profile for stray kids. Thank you! 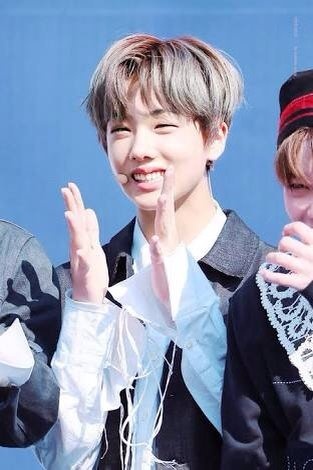 Can you please make a profile for Stray Kids? Thank you! I really like this site. But there are some ads that has a malicious thingy. And I kinda don’t like that ads. Well can you remove those adds (The malicious one). Also thank you! We talked several time with the ad company and asked them to deliver only clean ads. We know it’s annoying, but we currently don’t have many options. We’ll ask the ad manager representative for an ad optimization once again. As for the ads, currently the site is only supported via ads. If we’ll manage to get some sponsors we’ll give up on the ads, but for now this is the only solution we have. And Also a liitle info about Felix. A friend of Felix commented on Hellevator. She said Felix is nice and friendly. They used to do taekwondo when they were little. She also said Felix is very playful. And a lot of people knew him in Sydney back then. 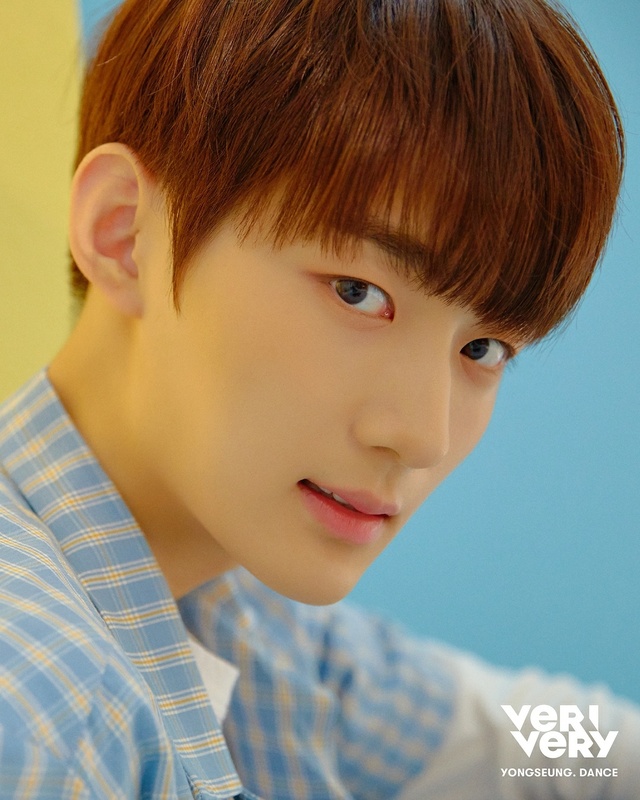 Would you please make a profile for TRCNG? 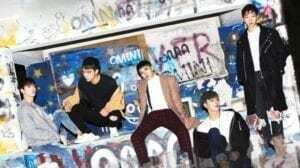 They’re a new boy group under TS entertainment; they just debuted. You should make a new profile for Boys24. There’s 5 units to them, and they debuted under CJ E&M. Unit: black, red, white, green, sky, and purple! TWICE QUIZ PLEASE!!!!!!!!!!!!!!!!!!!!!!!!!!!!! !TWICE QUIZ PLEASE!!!!!!!!!!!!!!!!!!!!!!!!!!!!! !TWICE QUIZ PLEASE!!!!!!!!!!!!!!!!!!!!!!!!!!!!! !TWICE QUIZ PLEASE!!!!!!!!!!!!!!!!!!!!!!!!!!!!! !TWICE QUIZ PLEASE!!!!!!!!!!!!!!!!!!!!!!!!!!!!! !TWICE QUIZ PLEASE!!!!!!!!!!!!!!!!!!!!!!!!!!!!! !TWICE QUIZ PLEASE!!!!!!!!!!!!!!!!!!!!!!!!!!!!! !TWICE QUIZ PLEASE!!!!!!!!!!!!!!!!!!!!!!!!!!!!! !TWICE QUIZ PLEASE!!!!!!!!!!!!!!!!!!!!!!!!!!!!! !TWICE QUIZ PLEASE!!!!!!!!!!!!!!!!!!!!!!!!!!!!! !TWICE QUIZ PLEASE!!!!!!!!!!!!!!!!!!!!!!!!!!!!! !TWICE QUIZ PLEASE!!!!!!!!!!!!!!!!!!!!!!!!!!!!! !TWICE QUIZ PLEASE!!!!!!!!!!!!!!!!!!!!!!!!!!!!! !TWICE QUIZ PLEASE!!!!!!!!!!!!!!!!!!!!!!!!!!!!! !TWICE QUIZ PLEASE!!!!!!!!!!!!!!!!!!!!!!!!!!!!! !TWICE QUIZ PLEASE!!!!!!!!!!!!!!!!!!!!!!!!!!!!! !TWICE QUIZ PLEASE!!!!!!!!!!!!!!!!!!!!!!!!!!!!! !TWICE QUIZ PLEASE!!!!!!!!!!!!!!!!!!!!!!!!!!!!! !TWICE QUIZ PLEASE!!!!!!!!!!!!!!!!!!!!!!!!!!!!! !TWICE QUIZ PLEASE!!!!!!!!!!!!!!!!!!!!!!!!!!!!! !TWICE QUIZ PLEASE!!!!!!!!!!!!!!!!!!!!!!!!!!!!! !TWICE QUIZ PLEASE!!!!!!!!!!!!!!!!!!!!!!!!!!!!! !TWICE QUIZ PLEASE!!!!!!!!!!!!!!!!!!!!!!!!!!!!! !TWICE QUIZ PLEASE!!!!!!!!!!!!!!!!!!!!!!!!!!!!! !TWICE QUIZ PLEASE!!!!!!!!!!!!!!!!!!!!!!!!!!!!! !TWICE QUIZ PLEASE!!!!!!!!!!!!!!!!!!!!!!!!!!!!! !TWICE QUIZ PLEASE!!!!!!!!!!!!!!!!!!!!!!!!!!!!! !TWICE QUIZ PLEASE!!!!!!!!!!!!!!!!!!!!!!!!!!!!! !TWICE QUIZ PLEASE!!!!!!!!!!!!!!!!!!!!!!!!!!!!! !TWICE QUIZ PLEASE!!!!!!!!!!!!!!!!!!!!!!!!!!!!! !TWICE QUIZ PLEASE!!!!!!!!!!!!!!!!!!!!!!!!!!!!! !TWICE QUIZ PLEASE!!!!!!!!!!!!!!!!!!!!!!!!!!!!! !TWICE QUIZ PLEASE!!!!!!!!!!!!!!!!!!!!!!!!!!!!! !TWICE QUIZ PLEASE!!!!!!!!!!!!!!!!!!!!!!!!!!!!! !TWICE QUIZ PLEASE!!!!!!!!!!!!!!!!!!!!!!!!!!!!! !TWICE QUIZ PLEASE!!!!!!!!!!!!!!!!!!!!!!!!!!!!! !TWICE QUIZ PLEASE!!!!!!!!!!!!!!!!!!!!!!!!!!!!! !TWICE QUIZ PLEASE!!!!!!!!!!!!!!!!!!!!!!!!!!!!! !TWICE QUIZ PLEASE!!!!!!!!!!!!!!!!!!!!!!!!!!!!! !TWICE QUIZ PLEASE!!!!!!!!!!!!!!!!!!!!!!!!!!!!! !TWICE QUIZ PLEASE!!!!!!!!!!!!!!!!!!!!!!!!!!!!! !TWICE QUIZ PLEASE!!!!!!!!!!!!!!!!!!!!!!!!!!!!! !TWICE QUIZ PLEASE!!!!!!!!!!!!!!!!!!!!!!!!!!!!! !TWICE QUIZ PLEASE!!!!!!!!!!!!!!!!!!!!!!!!!!!!! !TWICE QUIZ PLEASE!!!!!!!!!!!!!!!!!!!!!!!!!!!!! !TWICE QUIZ PLEASE!!!!!!!!!!!!!!!!!!!!!!!!!!!!! !TWICE QUIZ PLEASE!!!!!!!!!!!!!!!!!!!!!!!!!!!!! !TWICE QUIZ PLEASE!!!!!!!!!!!!!!!!!!!!!!!!!!!!! !TWICE QUIZ PLEASE!!!!!!!!!!!!!!!!!!!!!!!!!!!!! !TWICE QUIZ PLEASE!!!!!!!!!!!!!!!!!!!!!!!!!!!!! !TWICE QUIZ PLEASE!!!!!!!!!!!!!!!!!!!!!!!!!!!!! !TWICE QUIZ PLEASE!!!!!!!!!!!!!!!!!!!!!!!!!!!!!! Can you please make a Stray Kids profile! We are currently trying to finish as many as possible, also we are trying to implement some additions to the existing profiles, in order to make them better. 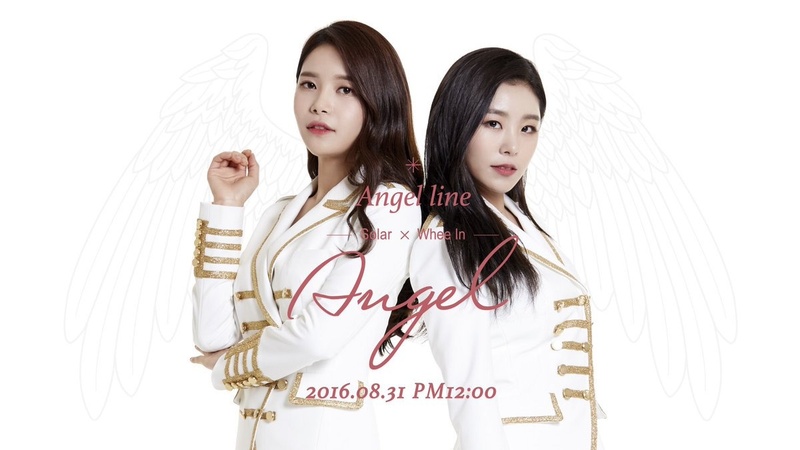 Could you please add the profile for the duet – “Monogram” under Sidus HQ with the members 케빈 and 리원? 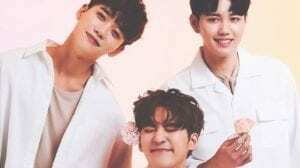 The RAINZ profile is done, thanks to our author, astreria ✁! Can you make a profile for Stray Kids? Could you please make a profile for The East Light? Hi! 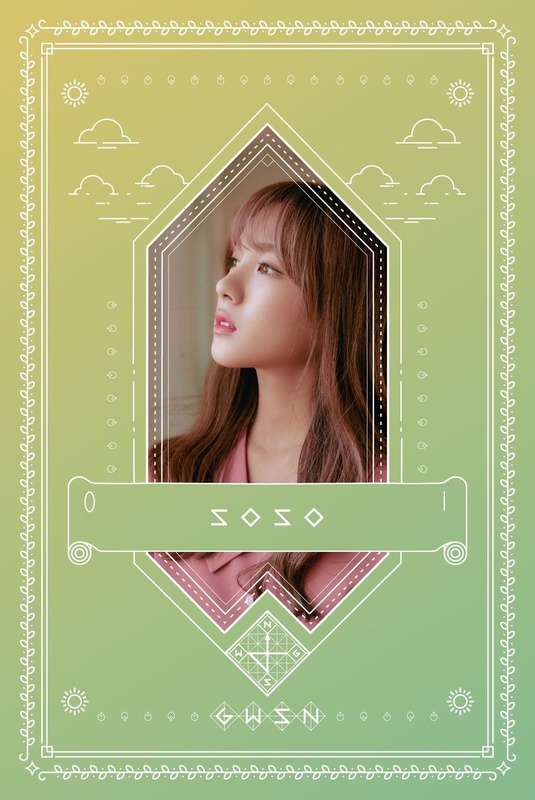 It’s me Again… Can you please make Jeon Soyeon profile??? 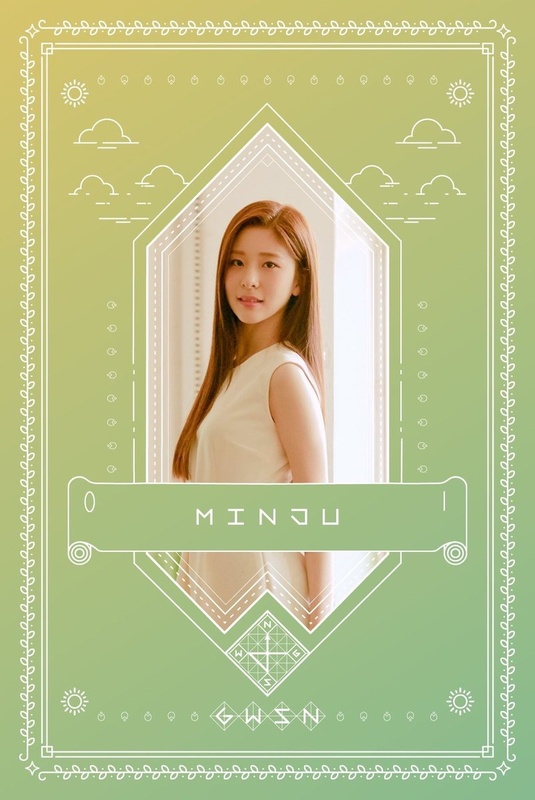 She is going to debut on November 5, 2017 as a soloist/rapper under Cube Entertainment. Yes, thanks for the suggestion! 🙂 Sorry for the late reply, we just noticed this message. Please make a profile for HASHTAG, Neon Punch and S2! Please make a profile for 8X8X8, the Polaris trainees and the possible BBC trainees! There is a Girl Group that made a comeback 2 years later and it’s really nice. They are PLAYBACK and their latest song is Want You To Say. Please support them and create a profile for them! Can you please make a profile for Black6ix? Can you make a profile for SEEART? They’re new I believe. I think they only have one song out and I personally can’t find much about them. But, in my opinion, I think their extremely talented and I’d love to get to know them more! It’s okay if you don’t make a profile for them though, you must busy and I don’t want to add to your work pile ^.^ I’m still new to K-Pop so if I’m out of line or incorrect, I apologize. Either way, I love your website! Keep up the good work!! Have a good day/night!! Could you possible make a profile for Speed? Can you make a section for hosts? Like tv show/realty show hosts? Please make a profile for BLK! Could you have a page where you organize the groups/artists by company? Idk why but its interesting to me to see which groups are under the same company. Please make a profile for Bigstar! 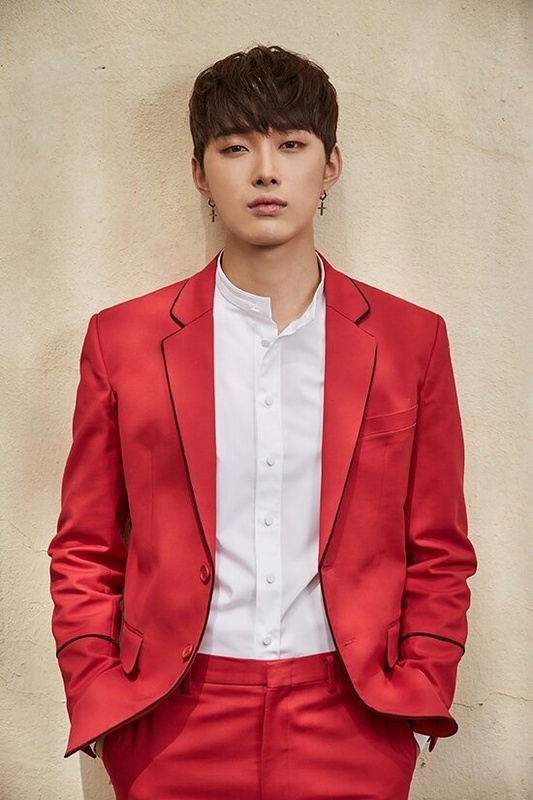 Can you please make a profile for IM (not Monsta X I.M, but the group called IM)? Thanks a lot for the nice words! 🙂 Yeah, unfortunately a lot of people had problems with the old polls system and lots of people got the “Failed to Verify Referrer” error. We tried our best to fix that issue but nothing worked. So in the end we chose to change the polls system entirely. Can you make S.E.S profile? 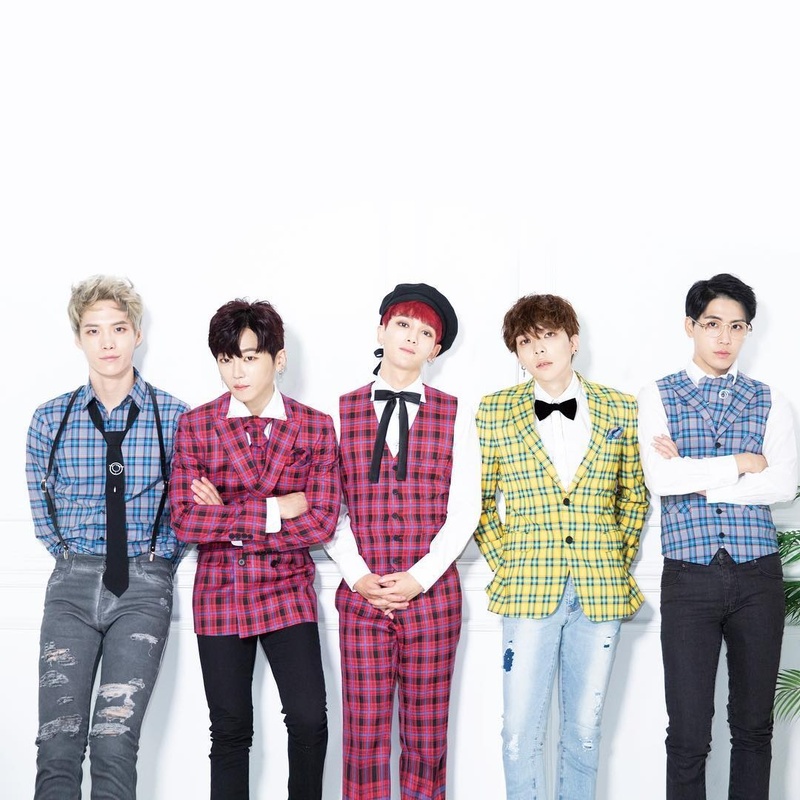 Please make a profile for the group alphaBAT, I don’t know much about them and your sight is there first place I come to check and learn thank you so much!!!! Could you try to make a profile for Astory’s girl group Favorite? Your site is awesome, thanks for the hard work! Can you put the vocal ranges of all the kpop idols? Could you make a profile for Holland? 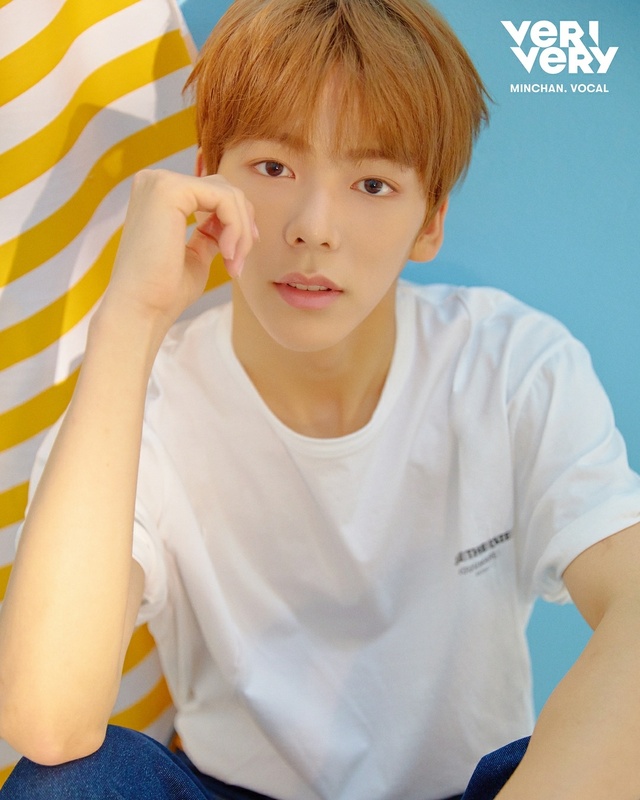 He hasn’t debuted yet, so I understand if you have difficulties putting a page together for him as of right now. can you make profiles for SS501, F.CUZ and 2AM . Can you please make a profile for MAS? They used to be MAS0094. Thank you so much! Please make a profile for Holland! Can you make a profile for Holland? Could you please make a profile for Target? I also know G.I likes to do an impression of a polar bear! Can you make a profile for the Chinese-Korean duo Tasty? I know they’re not promoting as Tasty in Korea, but still. can you make a profile for speed ? 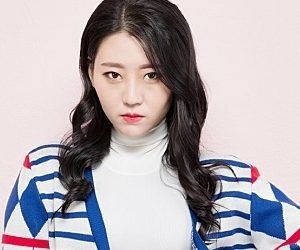 can you make i.b.i / as one / produce 101 season 1 contestants? Could you please make profile for Penomeco? could you please make the profile of mass and IM? could you please make the profile for Kanto? 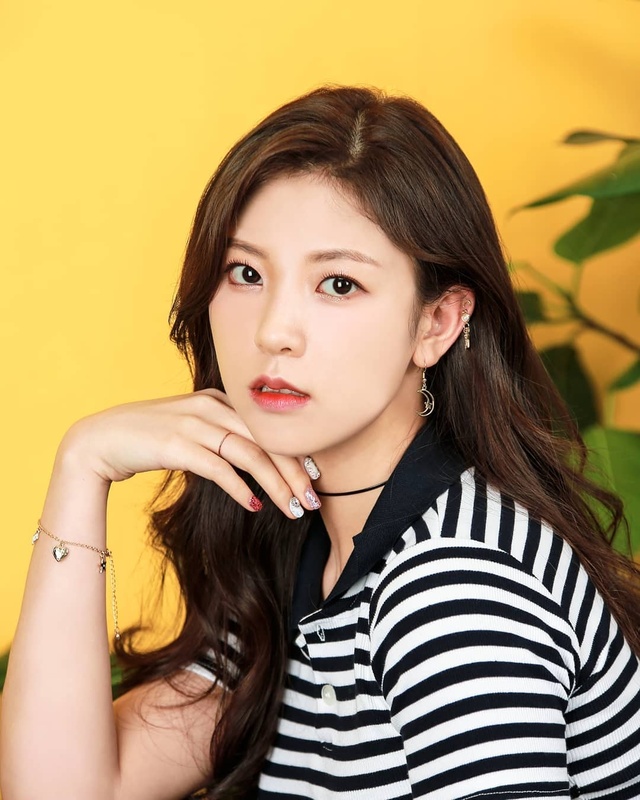 – She is the very first artist to debut under Devine Channel. – She owns a cat, but the name is unknown. – Family: Mom and dad. can you make a profile for unit b and unit g, the final groups from survival show “the unit”? Please update Xeno-t / ToppDogg’s profile! They’ve changed their official accounts usernames and their personal usernames. 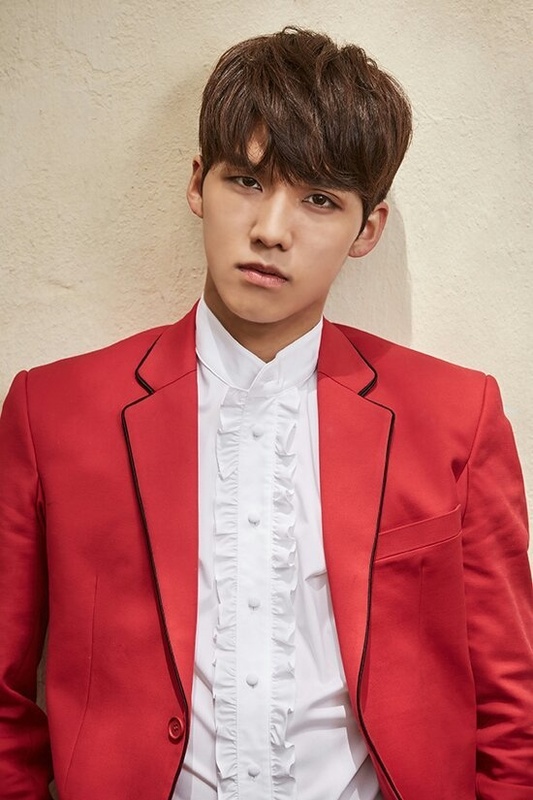 Sangdo is the new leader! well I wanted you to focus on quizzes like you have made a quiz that for example “Who is you BTS Boyfriend ” so like that you should make a quiz like that for girls groups also ” Who is your BLACKPINK Girlfriend ” . By the way sorry to complain. Hi! We are currently working on The Unit profiles 🙂 They will be published soon. I was wondering if you guys could make a profile for Speed. I know they’re no longer an idol group, but it would be nice for your to make a profile for them considering you mention one of their former members in Zico from Block B’s member profile. I also think it would be nice if you guys made some profiles for some disbanded groups as a nice way to pay homage to them in a way. 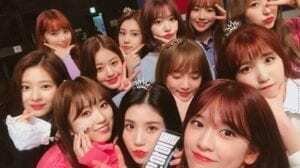 Will you make a profile for UNI.T and UNB? Can you make a profile for Giriboy? can you make a profile for great guys and IZ?? can you allow people to have accounts on this site so we can like peoples/groups profile’s and keep track of updates etc. can you make a profile for Psy? 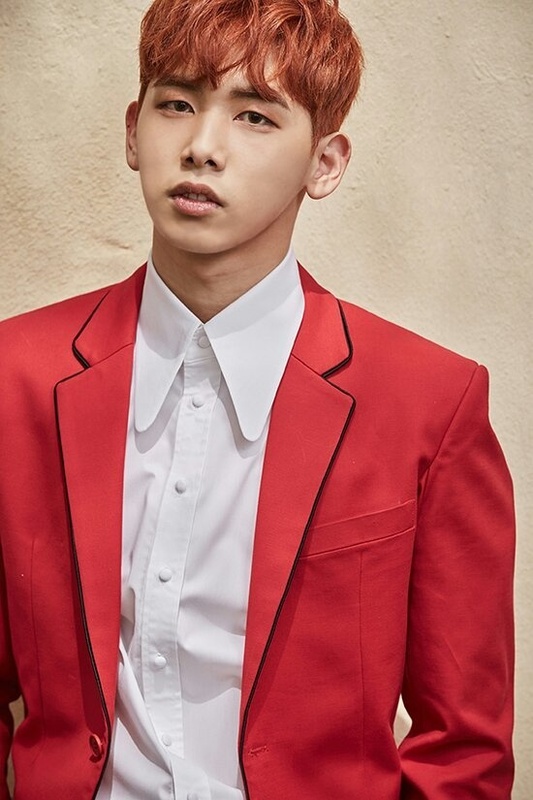 Sangdo said he was the new leader in “The Unit” audition airing but they never aired it so Korean fans who went said he announced himself as such. But no, it hasn’t been ‘official’. can you make a profile for jyp trainees? Can you please make a profile for W24? Could you possibly make a profile for Nick&Sammy? Can you make a profile for Zion.T when you’ve gotten all previous suggestion? maybe add Halo boy group profile? rookie group but other’s should know them! We already have a Halo profile published, but unfortunately we couldn’t include all the profiles in the menu. If you check the Full list… under each category in the menu, you’ll find a lot more profiles in each category than the ones listed on the menu. Also, you can use the search box to type in the desired profile. Could you please add more actors and actresses? Thank you! I would love it if you all would add an entertainment page so if I go to a profile and want to know about more who they signed under or who else signed under them I can see it easily here instead of searching the company on Google. For now, under each profile there is a tag with their company, so if you click on the tag, all other artists (that have a published profile) and are signed under that company, would be listed. More kpop ships please? I don’t really like kpop shipping but if you’re gonna have a page for it on your site it’s weird to only have 1 article. You should either make more articles or remove the page altogether in my opinion. 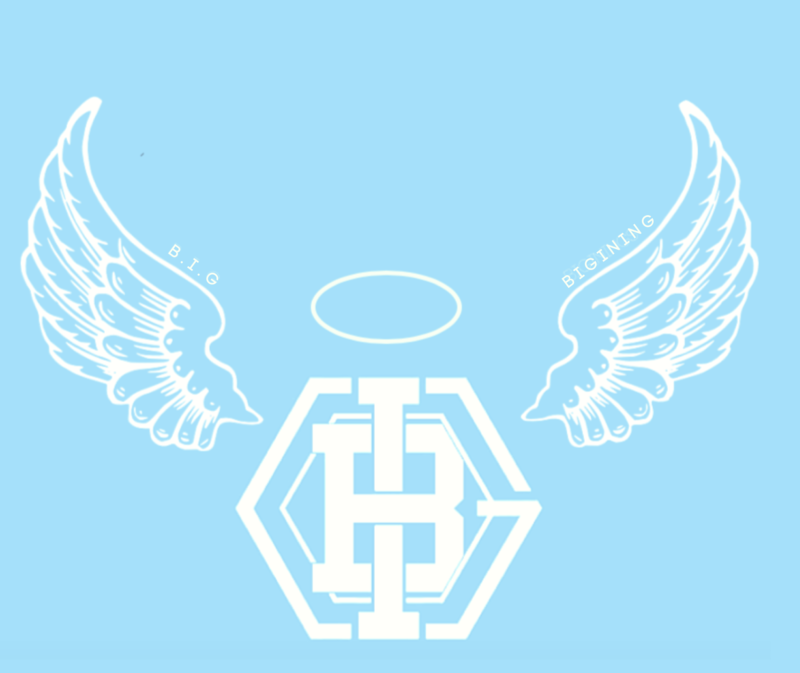 Please please please make a profile for D.I.P!! For the ship article we already had published, it would be not fair to just delete it since the person who offered his/her help wrote a lot and put a lot of effort in order to make it that good. 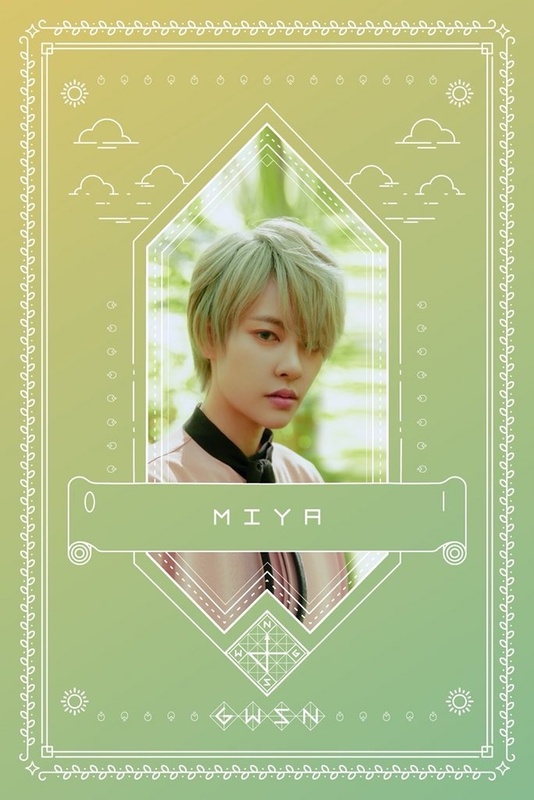 Can we have profiles for the girl group LIME? They’re a Vietnamese group that promotes in Vietnam and South Korea. I have information and images! Can you make a profile for offonoff? Can you pls make a profile of SNSD’s Sub Unit?TTS? Maybe the comment is automatically detected as spam? If you had previous complains of spamming on similar comments it is possible that the system automatically detects your comment as spam. what do you mean as spam?my comment is very long but it doesnt really work.my comment in momolands profile is about their positions.is that considered as a spam? Would it be possible for you to make a profile of Psy? Can you make a profile about Trouble maker? Can you please please please make a profile for GreatGuys? they’ve got some pop in seoul videos that have some fun facts as well! Can you make a profile of GreatGuys? Thank you! Can you make a profile on NOIR please? her second single is LipBubble. the tracks are LipBubble (feat. Slay) and LipBubble instrumental. 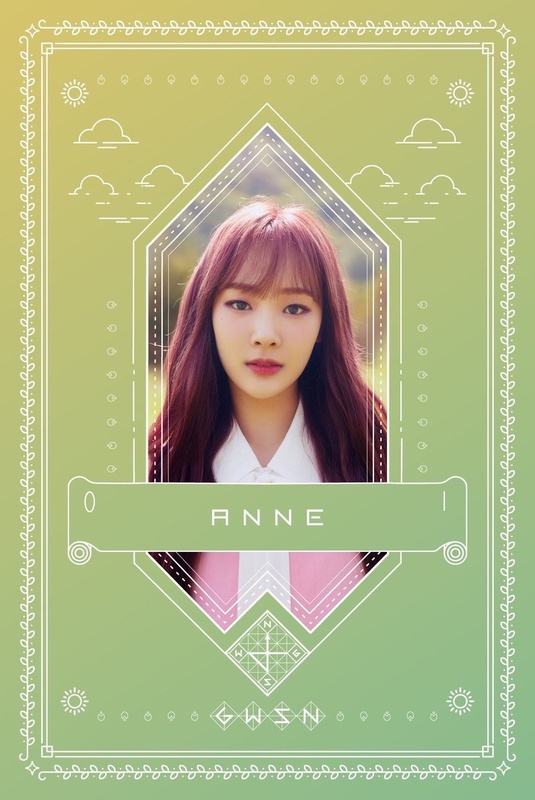 Hi can you make Real Girls Project Kpop profile? 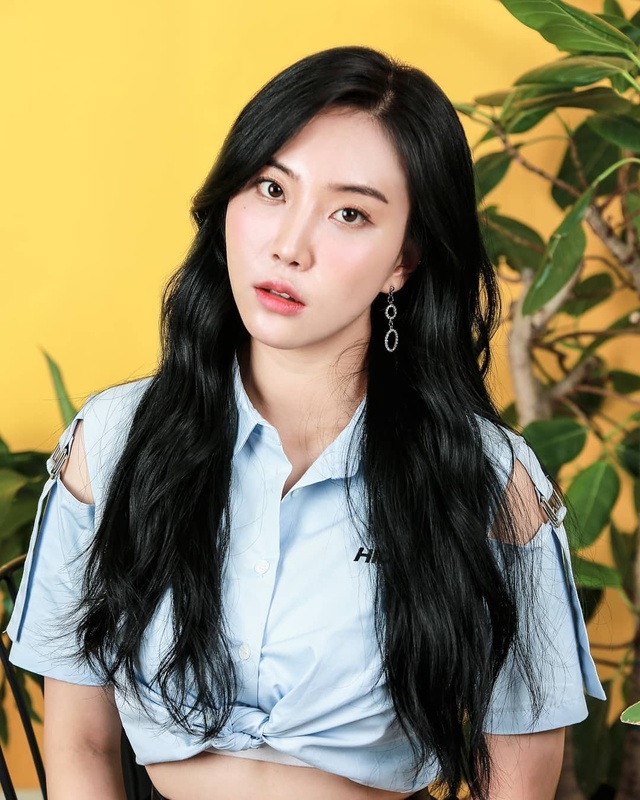 AZM is a new girl group from INNO-K ent (formerly K-CONIC the agency of Bulldok who just disbanded…) who will be having their first showcase on January 27th and will be releasing their 1st single “E.D.G.E” on March 2nd.AZM stands for A to Z Music. They will show different kinds of music and they will do music without losing the feeling of beginning from beginning to end. 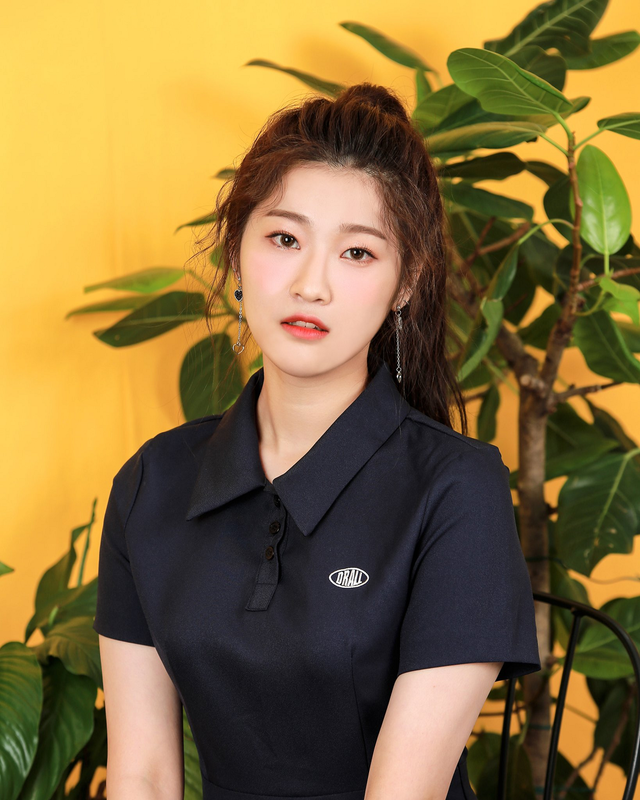 – Seoyeon has lived in China for 9 years starting from Elementary School. 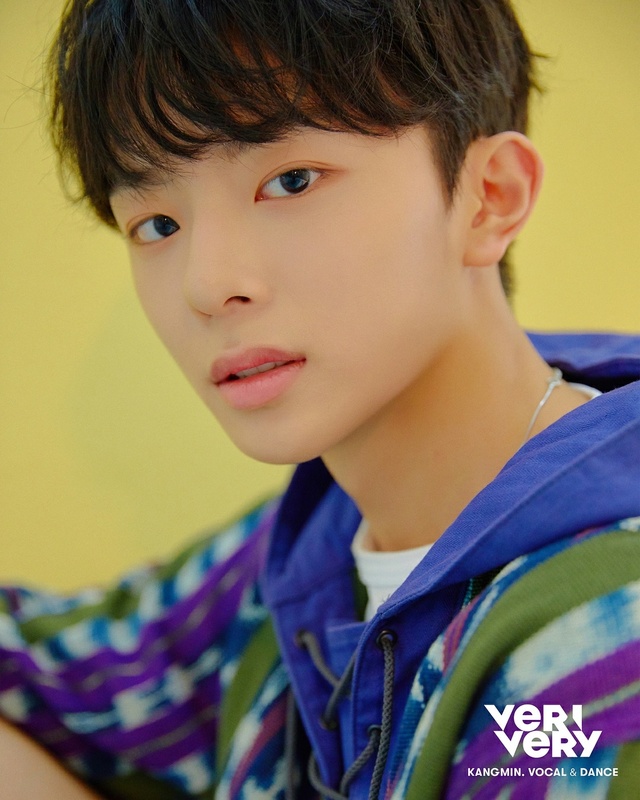 Would it be possible for you guys to make a profile for Yoo Seonho? Could you please make profile for Noir? Can you make a profile of D.I.P? Thank you! Could you make a profile for Great Guys? Please make a profile for ydpp. They consist of 4 members. Hey, could you make a profile for Choi Tae Joon? could you put the profile of yoo seung ho thank you! could you put the profile of han hyo joo , so ji sub , soobin thank you! Would it be possible to make a profile page for The EastLight? (unless I missed them, I don’t see them on the list…) thank you! And maybe Boy Story, too? I know they’re a Chinese group, but they are under JYP, and they have lots of info on their youtube videos… (I just don’t know Chinese so I haven’t figured it all out for myself yet… 🙁 ) again, thank you if either of these is possible. 🙂 you guys are awesome by the way, good job on all the profiles I’ve seen! oh, never mind, I still don’t see them on the list? but I did find The EastLight on your page! thanks! So, I’m going to be very brave without too much hope and ask you (all) that can I translate your profile site (about kpop idols) to Hungarian? Please let me know, cause I don’t want to have misunderstandings with you, but this site is too good to be just in English and I would like to think of those who can not do so well in English and translate them this really good page. If it’s possible (please)!!!!!!! Of course, the source page link would be listed everywhere. Omg, thank you!!! Really! you made me really really happy with this, thank you!!! of course, the source page name and the link will be in each episode/or part!! jesus, im really glad about this, thank you very much!! you made my whole day, no rather my whole week!!! Thanks for the opportunity, and the nice and quick answer! Thants nothing! Your page is absolutely the best ( in my opinion), it has so much elements, facts and useful things! You would deserve the best page award, if its existed, really! so i really appreciate it, thank you again, and have a nice day!!!!! You should do a profile for the Korean duo Nick&Sammy (닉앤쌔미). they started out doing kpop covers and mashups on youtube (they still do) but they’ve performanced on music shows and stuff.They release both Korean and English versions of their songs. If you need information, i can find stuff for you and help you. -They have little ‘Iron Chef’ tournaments in thei little kitchen to see who can cook the best food with what little ingredients they have. -They both love Photography, videography, and design. -Role Models: Beatles, the Beach Goys, the Rocket Summer. -Likes Hip hop, RnB, and EDM music. -Not the most patient person but living with Nick has improved that. Am I blind or wheres Wonder Girls, 4minute, RooRa, Play The Siren profile? Hey! Could you make a profile for the girl group Honey Popcorn? Could you make a profile for the upcoming group SPECTRUM? I think a lot of people just comment the info here? Thank you for the suggestion, we are trying our best to make quizzes for more bands, just that it may take some times since there are lots of requests in the queue. Hi. I have not published the translation yet but this will be available on the wattpad as there are so many parts that I can publish at least every week. So you still have to wait a bit, but I’m glad you’re interested in the language. can you do a profile for Bambino, a kpop girl group? 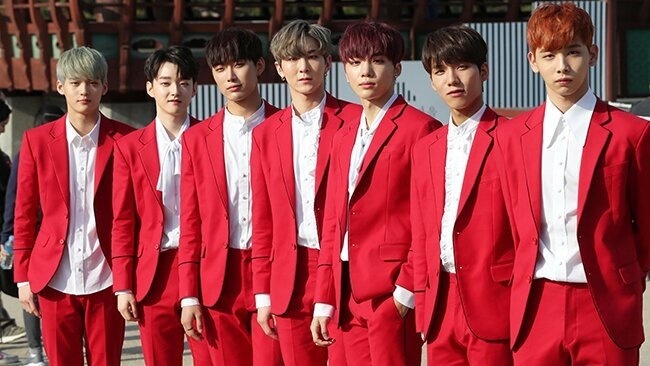 SPECTRUM (스펙트럼) is a 7-member boy group under Wynn Entertainment. The group consists of: Minjae, Donggyu, Jaehan, Hwarang, Dongyoon, Villain, and Eunjun. 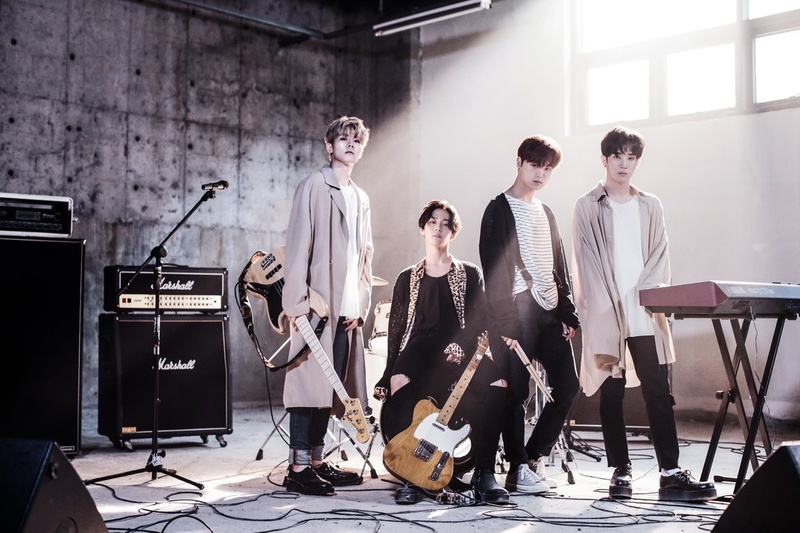 They debuted on May 9th, 2018 with their title track ‘Light It Up’. 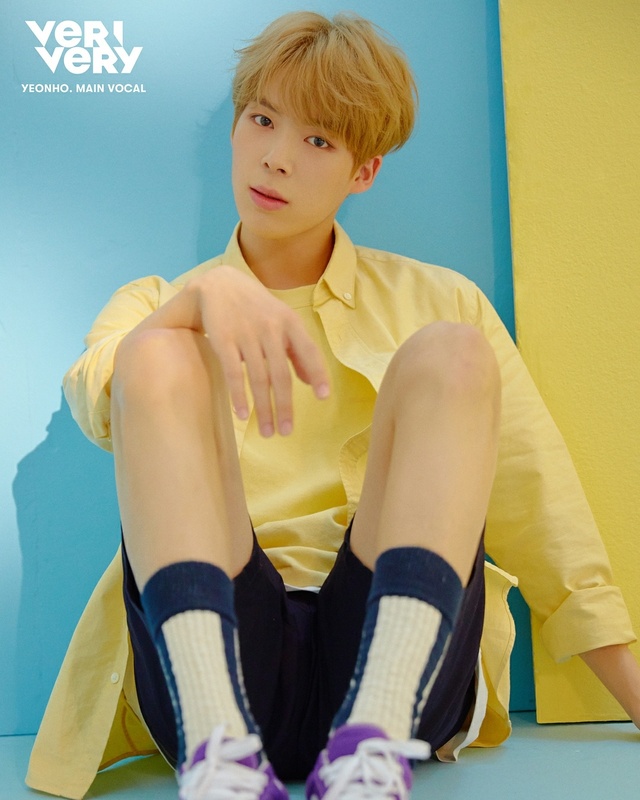 – He is a former member of the group OneVoice and went by the name J.Han. – He is the only one without his own Instagram. I would appreciate it if you could create a profile page for clawsome!! Hi, I would be really grateful if you can make a profile page for a new rookie group “Spectrum”! Thank you! I have more of a question than a suggestion. I really appreciate the SIS profile you did – Thank you! I was just wondering how accurate the birth dates are on those? (Obviously I know that Minzy’s and Anne’s dates are right now). What was your source for that information? can you also make a profile for Soloists IU and Jessi? can you make a who’s your bf for SVENTEEN, EXO. BTOB, Block B, ASTRO, or NCT? Can you make a profile for Rion Five ? Hi, if you don’t mind, can you please do Planetarium Records / PLT? Thank you in advance! hey, can you make a profile for south club? thanks! Can you make a profile of EvoL? They are girl groups under Stardom Entertainment, they’ve disbanded on August 2015. We already have one 🙂 I’m actually the creator of it. I would appreciate it if you can make a profile for HNB (Woo Jinyoung X Kim Hyunsoo). They just debuted. 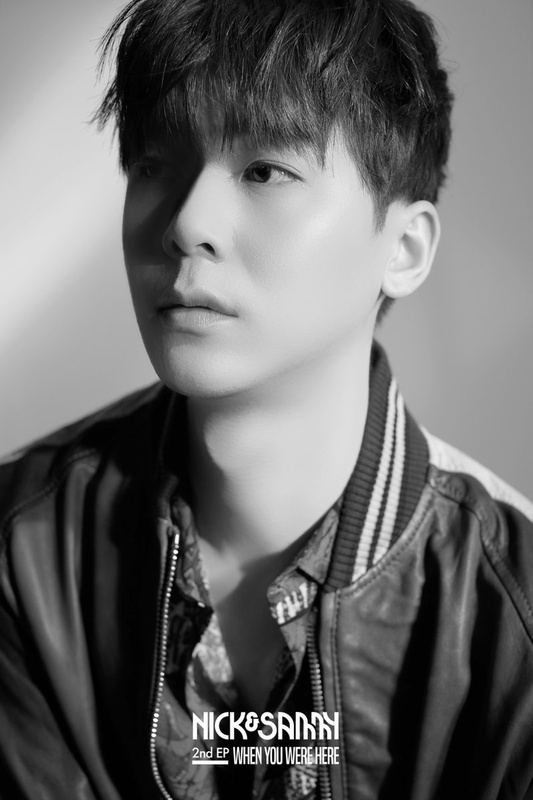 Can you please make a separate profile for NANO a.k.a Kim Jaeho? (A member of a former group called HISTORY) Thank you! And more power to your site! But we’ll update his profile with his new stage name and solo activities. Could you, please, do a profile about the solist ‘YU SEUNGWOO’? can you do a profile for the cpop group 7senses? 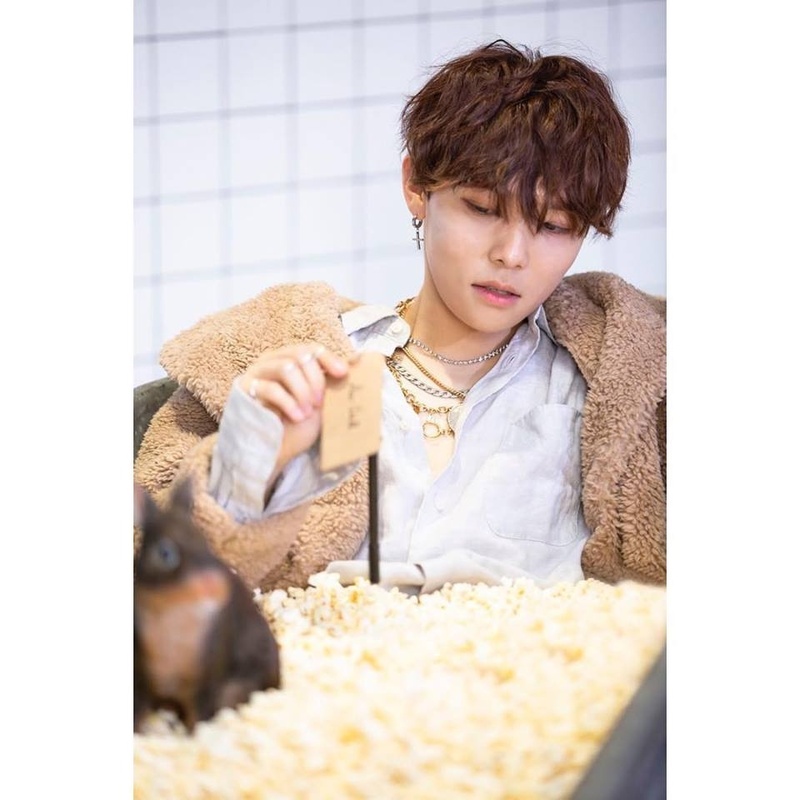 Can you please do a profile for the cpop group Nine Percent? Why do you mean by “adding a separate tab for bands (e.g. day6, marmello, and the rose)”? Day6 for example is already listed in the menu, or you talk about something else? how about a big japanese girlgroup called AKB48 ,it’a a bit stressing to do because it has 140 members i think? Thank you or all the suggestions! Yes, I know that, as it was explained in the profile, but only the Swin-S sub unit profile has been made, as the other sub unit is the acting sub unit. Can we get the ballad duo MeloMqance please ? 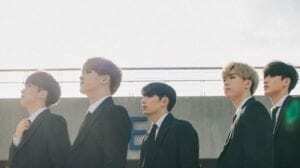 you should make a ONEUS (Formerly RBW Boyz) profile since they’re debuting soon (date not confirmed yet but released video teaser). 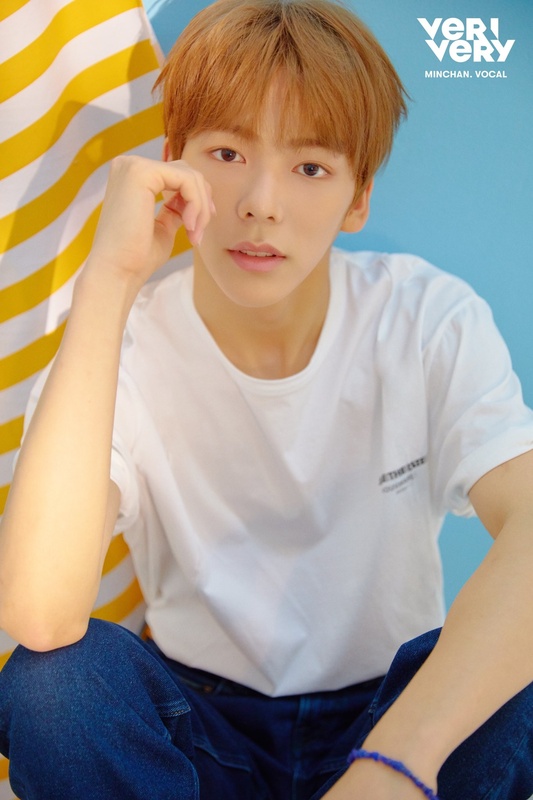 can you make a who’s your sf9 boyfriend quiz? You can’t access Momoland’s group profile. When you click on the link, it leads you to a list full of links for all the kpop groups (kprofiles.com/momoland-members-profile/). Just thought I’d let you know, thanks! Thanks for letting us know, do you still encounter the issue? The issue only happens with the Momoland page or with all the pages? I can access it normally. Did you try to access it from the site menu or from the link posted above in comments? Yeah, we need different profiles for the different units of AKB48, like AKB48 Team A, etc. since it’s impossible to list all the members in just a page. About a different category tab just for AKB48, that would be a bit hard, as we already had problems due to the fact that the menu is so big, that’s why we removed a lot of the items from the menu (a lot of bands) to avoid the errors that we started receiving. For now we didn’t even list any band under the C-Pop and J-pop tab, to avoid those errors. Thanks for the suggestion! Actually we also thought about creating a different tab in the menu for the bands but in the end we didn’t do it because we already started having problems due to the fact that the menu is so big, so we even ended up removing a lot of the items from the menu (a lot of singers, actors, idol groups, etc.) to avoid the errors that we started receiving. For now we didn’t even list any band under the C-Pop and J-pop tab, to avoid those errors. In order to add something new, we usually have to delete something else from the menu. do you also make korean comedian and variety shows?? Can you add My First Story? Can you please create Jeon Somi individual profile? Thanks! We already have a Neon Punch profile, thanks to our author, skky autumn. can you do a profile about chuning candy a j-pop group? Can you please ma a Acrush/ FanxyRed profile? They are a Chinese group. Make a profile for Sik-k please. Please make a D-CRUNCH Profile ♥ They’re an upcoming hip-hop boy group this August! can i request the upcoming gg, saturday? oh lol can i also request another upcoming gg called nature? Can you make the profile for SanE? Can you make a profile for Lee Joon from MBLAQ as an actor. Can you make a profile for Jung So Min? Can you please make a profile for Penomeco? can you please make a profile for South Club .-. The comments are entirely handled by Disqus. But what do you mean the comments have worked really strange lately? They don’t load correctly? Or there’s a different problem? There is also 2 well known problems with Disqus comment system. 1. When Disqus wrongly detects legit comments as spam. That’s pretty much annoying, a lot of legit comments are wrongly sent in the huge Spam folder and then we have to manually search and restore them, which is horrible, as it takes lots of time in which we could do something more productive. No idea what’s wrong with their Spam filter lately. 2. When approved comments are still listed as “Waiting for moderation…” That’s pretty annoying as well, because if you check the Dashboard the comments are listed as approved and if you check the comments section the respective comments are still listed as “waiting for moderation…” Usually that problem only goes away after deleting the respective comments and re-approving them, but it’s very hard to spot, as it could happen on any profile and you basically have no warning on it. Hope they’ll fix these bugs in the future software updates. I have told about the second problem. Thank you for answer. Hope they will fix it soon. 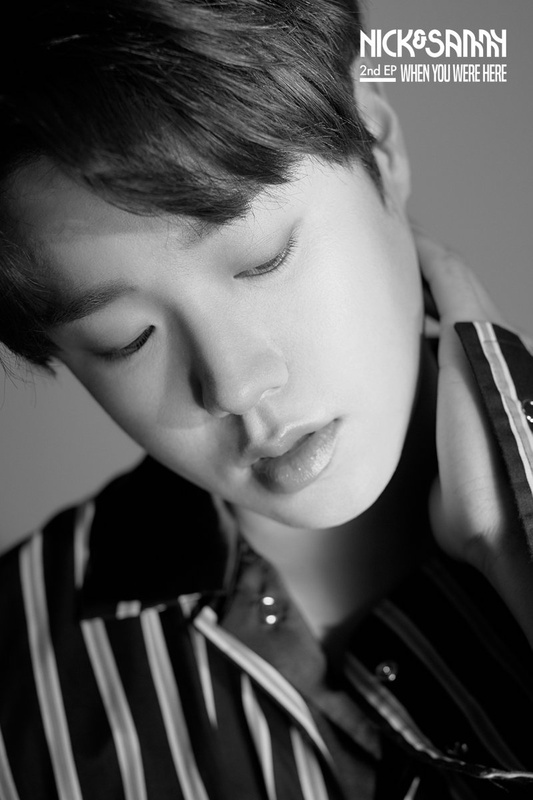 Please make a profile for BLOO (블루) He is a soloist and part of MKIT RAIN. 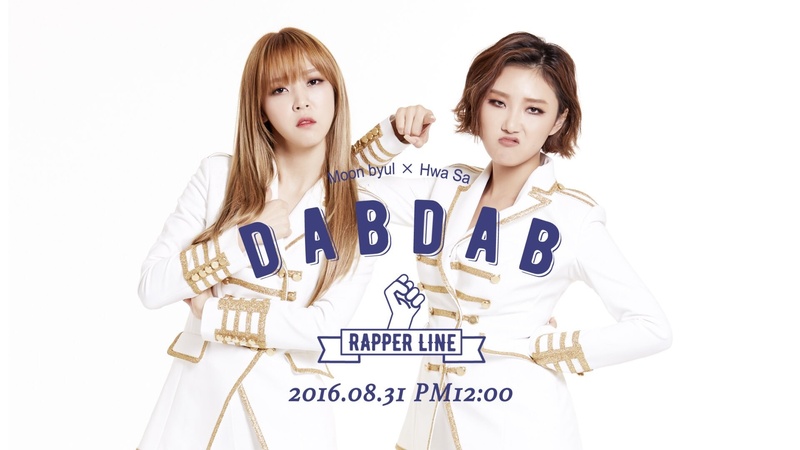 Unnies please i always searched them in Kprofile but i cant find it. Please list Laboum you know UKISS’S sister group. The D.I.P profile is published, thanks to our authors @abcexcuseme ( @menmeong & @broken_goddess). The D.I.P profile is published, thanks to our authors @abcexcuseme (@menmeong & @broken_goddess). Very late, but we just published D.I.P’s profile! From where do you try to access it? Directly from Google search, or from KProfiles’ menu, or you have the page already opened? What browser do you use? Chrome? Firefox? Please delete the browser’s cache and try again. It loads just fine on my end. i would love to see a profile for royal pirates! That’s great to hear! 🙂 If you have problems with any page in the future, please let us know. I actually don’t know when the mini album is coming out, but there’s probably gonna be something soon then! Thank you for accepting my suggestion! can you make a VIXX LR profile page?? They changed there group name to TST so that’s why you couldn’t find them. Please make a profile for Cherry On Top! Please make profiles for GARNiDELiA, LADYBABY, and ONE OK ROCK. Hello, please make a page for C-pop group Tangram! Thank you! 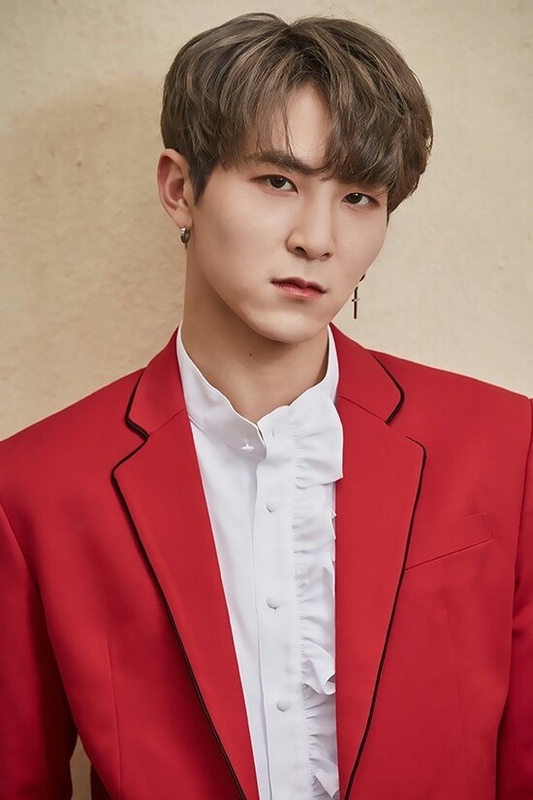 I’d love to see a profile on NOiR(느와르)! 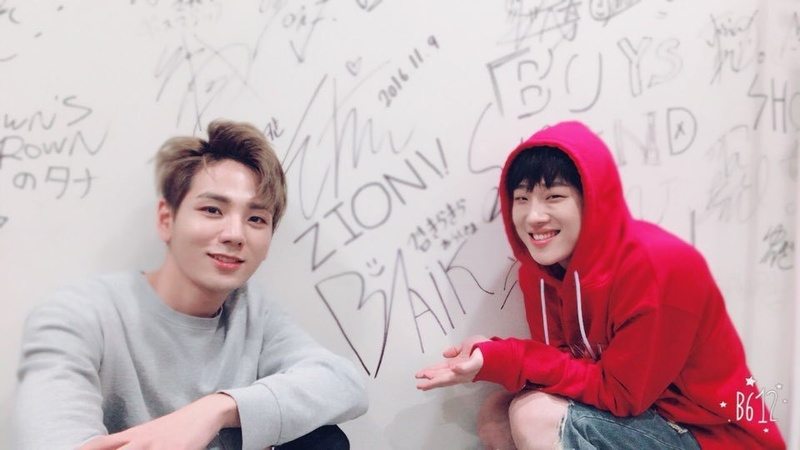 If you could make a profile for JBJ95, that’d be great! Can you make a profile of Girls Generation’s latest unit; GG Oh! (Not Sure)? Thanks! Kindly make a profile for YUEHUA trainess tnx. Maybe you could add a profile for the new group Lime Soda? 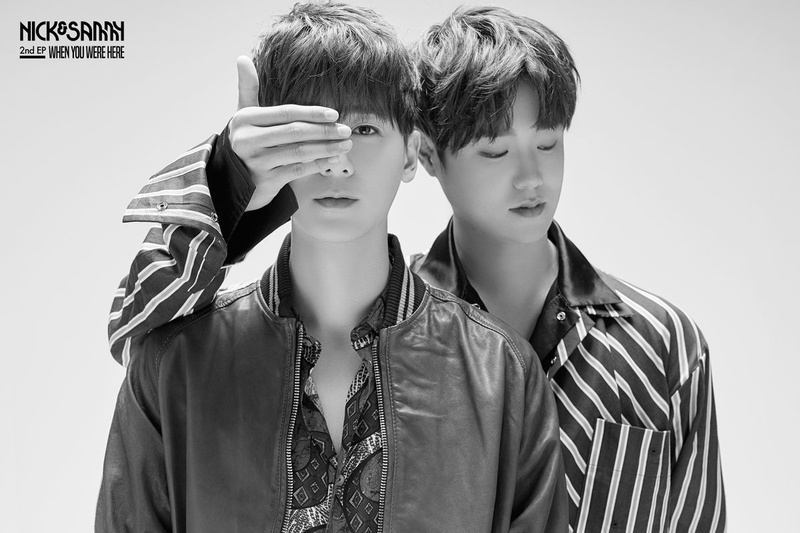 They are a duo currently but there will be more members added at some point (it is unknown who and how many members). Unfortunately I don’t know their official positions but i do know which year they were born. 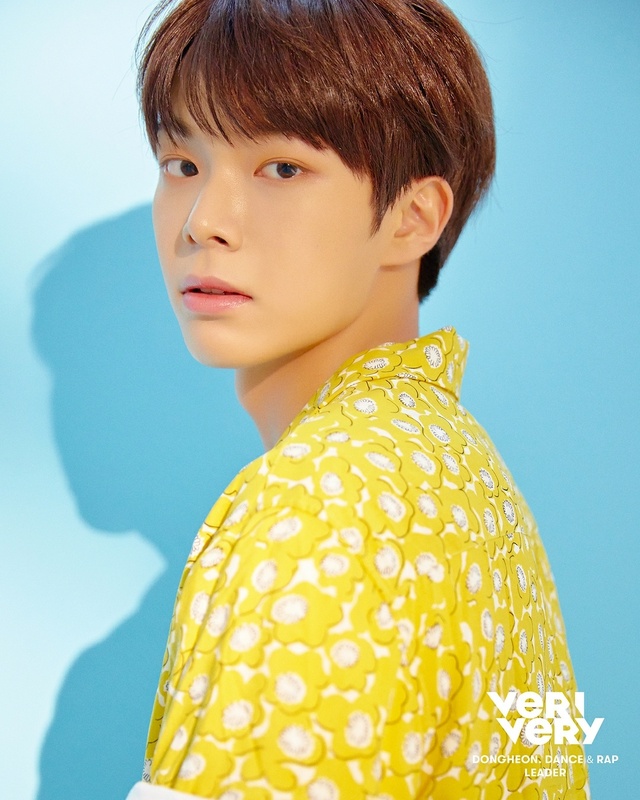 Verivery profile please, vixx’s little brother group! I was wondering if you could make a profile for the Chinese boy band SpeXial!! Can you make the list of all produce 48 trainees? Thank you! One of our authors is already working on the profile, but there are still so little info about them, except for the very basic info. One of our authors is already working on the profile, but there are still so little info about them, except for the very basic info. Where is Park Ji Yoon’s profile under solo artists? can you guys make a whos your bf for seventeen, exo or nct? You have HOLLAND, you should probably do one for MRSHLL, too. Welcome, and better make it now you have said it! Could you make the Profile of the two actresses Park Si-eun and Park Si-woo? They’re both the daughters of singer Park Nam-jung! 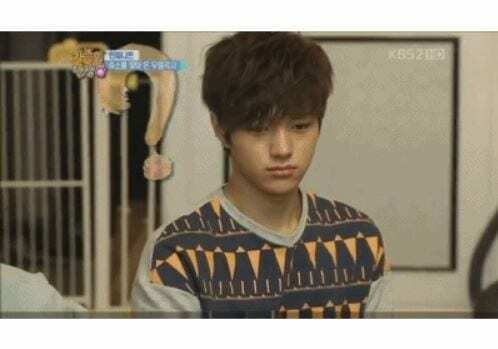 Can you make Infinite members individual profile? Could you also make a profile for actress Guan Xiaotong? 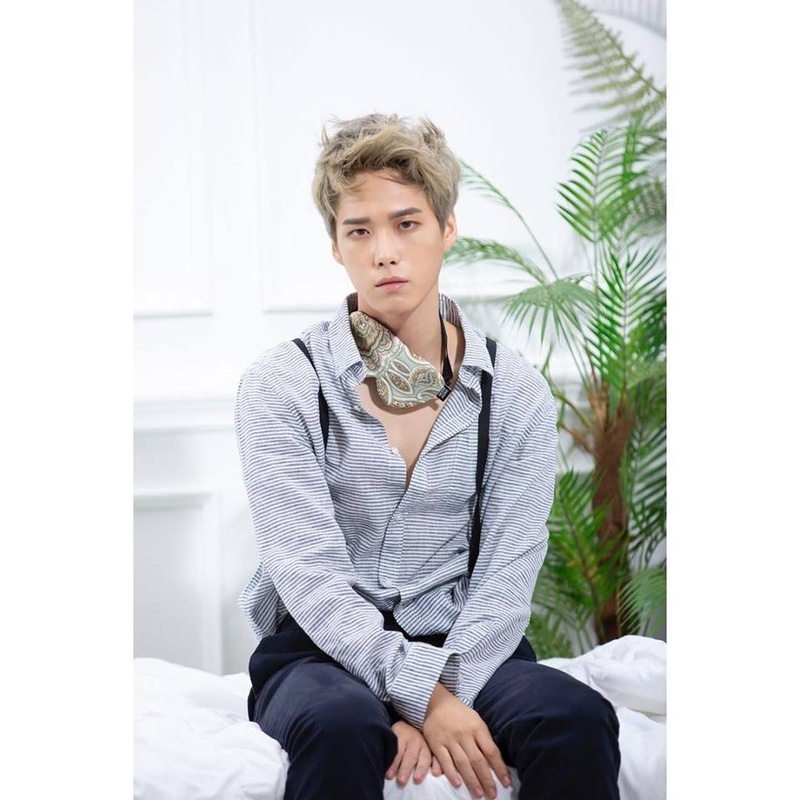 can you guys please make a profile for Eddy Kim? Please make a profile for Z:ON – ZPZG ON (지온). It’s duet. Members are Khan and Gyeom from ZPZG. Can you make a profile for the girl group sha sha? Please make profiles for GARNiDELiA and LADYBABY! Could you make a profile to AlphaBAT? hi may i request a profile for girl group called alike? heres all there info i know! https://www.youtube.com/watch?v=XrmviSH05JQ mv for Summer Love(썸머러브) which is their first single. Birth : 1999. 06. 08. Birth : 1996. 06. 25. Birth : 1997. 05. 11.
i will comment if i find more info! could you make a profile for k hip hop artist Hash Swan? Hello I suggest creating a profile for Monogram. They are a duo and sang an ost for the drama “While you were sleeping”. Can you do a quiz for day6, vixx, and loona? ɪ ᴡᴀs ᴡᴏɴᴅᴇʀɪɴɢ ɪғ ʏᴏᴜ ᴄᴏᴜʟᴅ ᴅᴏ ᴀ ᴘʀᴏғɪʟᴇ ғᴏʀ ᴋᴘᴏᴘ ɢɪʀʟ ɢʀᴏᴜᴘ sʜᴀ sʜᴀ. hi! i feel like i request super often lol but can i request cpop group snh48’s subunit 7senses? Hello, if possible, can you do a profile for The Man BLK? They just debuted on 10.10.18 under STARDIUM. Could you maybe make a profile for the boy group alphabat please? Can you update Infinite and Hoya’s profiles? Hope I have helped. These boys deserve this. can u add profiles of girls alert and dynamic duo ? Can you make a profile for Baikal under Baikal Entertainment? They came to the Korean Festival in Houston. I know this is not exactly a suggestion but I don’t know where to post it. 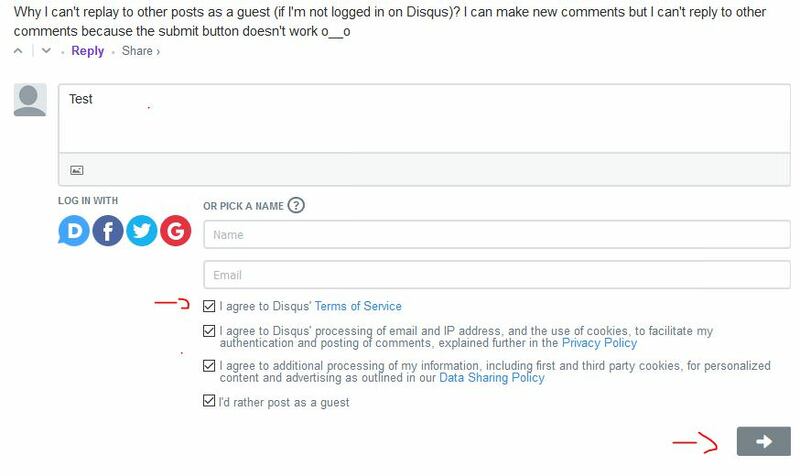 A lot of other site admins reported the same issue, don’t know why Disqus doesn’t remove the CAPTCHA until they fix the bug. As a tip, you can reply to other posts as a guest user if you check all the options first and only after the Submit button will appear, only after that to write your desired Name and email. Also make sure to not click on “I am not a robot” box. I made a test post a few minutes earlier. hey sorry to disturb but can you make a profile for violet tree? 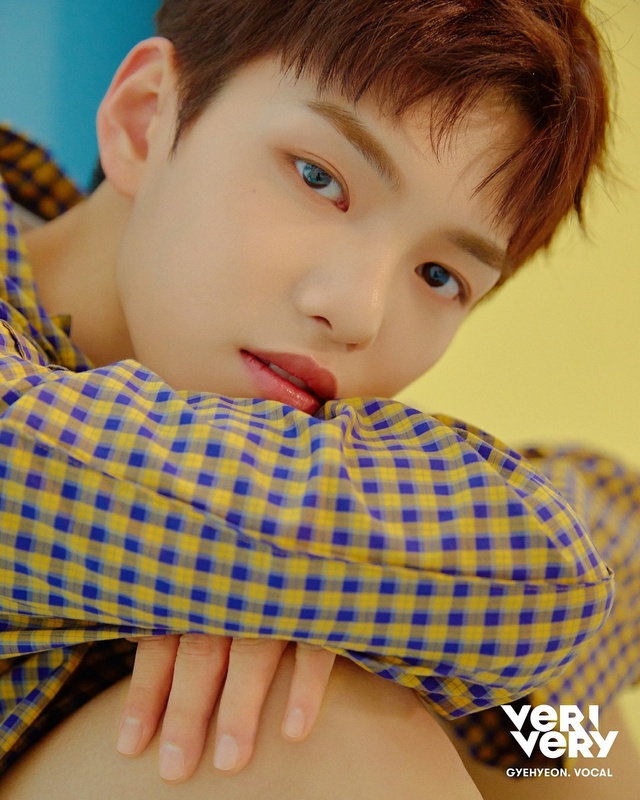 Can you make a profile for cherry on top(체리온탑), they debuted on August 10th, 2018 with the song “Hi Five” under United Creative. The group consists of U, Ian, Yoonseul, & Naye, their Instagram is @cherryontop.ucofficial all the info is from there. Do you have any information on them that could help?